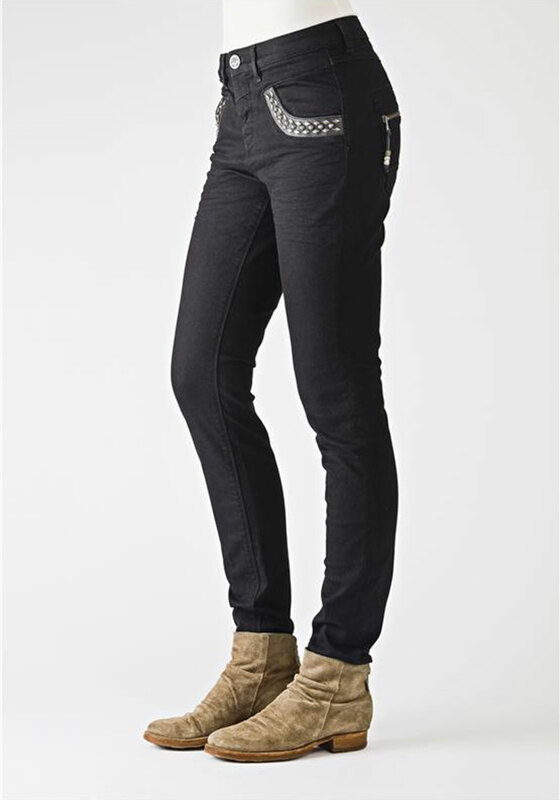 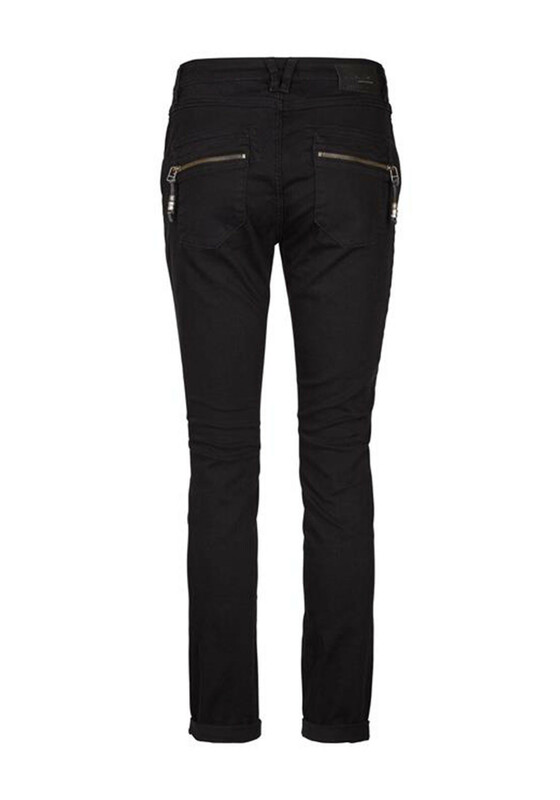 Mos Mosh presents the Marley Naomi jeans in their cool tapered cut that can high on the waist or slightly baggy. 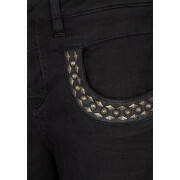 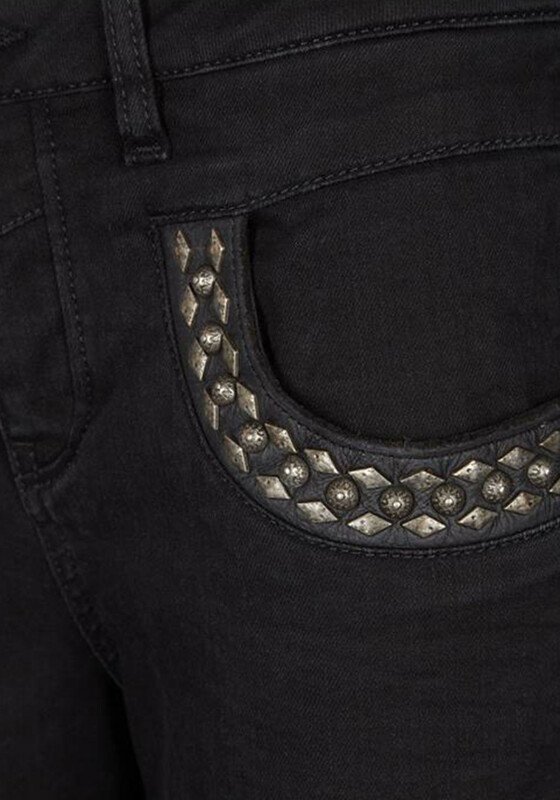 Leather and stud detail appears on the front pockets which zipped back pocket and the classic Mos Mosh tag completes the look. 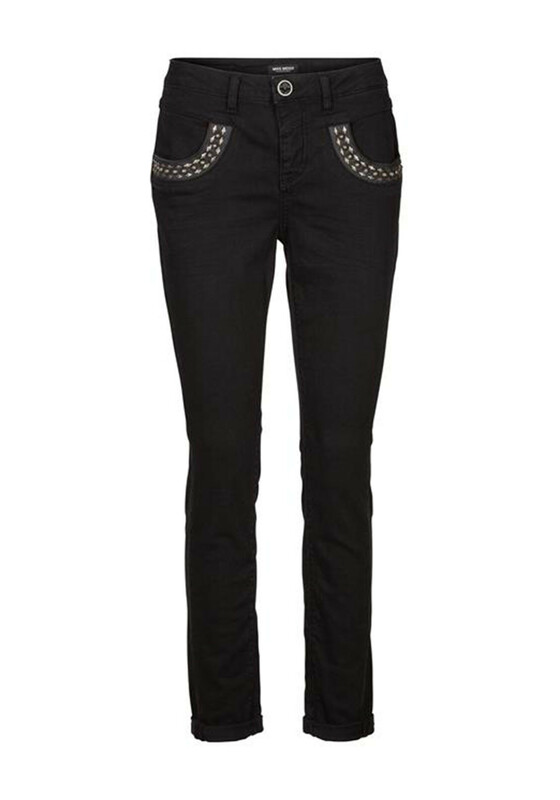 Dress them up or down.